New York Times bestselling investigative journalist and serial crime expert M. William Phelps is the author of more than thirty nonfiction books and has made over 200 television appearances. He created, produced and starred in the series Dark Minds and is one of the stars of Deadly Women and Oxygen’s Snapped, Killer Couples and KillerPost. 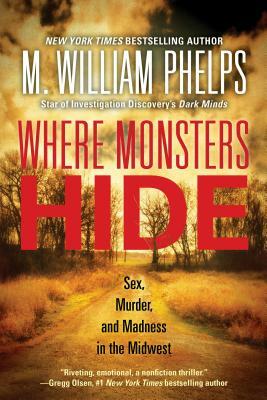 Radio America calls him “the nation’s leading authority on the mind of the female murderer.” Touched by tragedy himself through the unsolved murder of his sister-in-law, Phelps is able to enter the hearts and minds of his subjects like no one else. He lives in a Connecticut farming community and can be reached at his website, www.mwilliamphelps.com.